Is your air conditioning system not working properly or not working at all? Trust Custom Climate Concepts to provide fast, professional and reliable AC repair services to the Sarasota area. Our NATE certified AC repair technicians are trained to handle any job correctly and efficiently, every time, with prompt and expert service. We provide accurate evaluation, cost-effective recommendations and proceed with your approval. 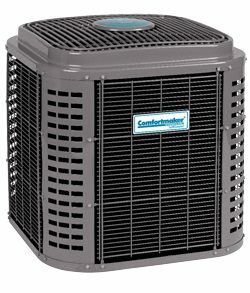 We work on all makes and models of air conditioners. We arrive prepared to handle a wide range of problems, completing the majority of work in a single visit. We are locally owned/operated and give back to the Sarasota and Manatee county communities through local and national charities. AC system malfunctions are progressive. What may only require simple tuning, cleaning, or replacement parts in the beginning – if left unattended – can result in much larger, more costly repairs or even system replacement. Inadequate system maintenance can cause many performance issues. For example, a dirty, clogged filter will restrict airflow, negatively impacting efficiency and resulting in musty smells and increased humidity. A shrieking or screeching sound can mean the AC’s motor is wearing down and creating too much friction. This must be repaired swiftly before the motor needs replacement. A clanging sound may indicate your AC unit’s fans are out of balance or broken, causing increasing damage as the fan continues to strike its outside housing. A neglected AC system can add to your utility bills and increase the chance of a breakdown. Plus, elevated moisture levels can cause material and costly physical damage to you and your home. Sometimes a problem causes a circuit breaker to trip. The video below shows how you can check for a tripped breaker. When it’s your comfort, safety, and well being that is at stake regular business hours aren’t always sufficient. Custom Climate Concepts’ AC repair specialists are always available for emergency repair service and same-day repair service.